On this week's World Views international roundtable, Joshua Landis discusses the Israeli attack on the Gaza flotilla in the larger context of the evolving US relationship with Israel, Mike Boettcher reminisces about the first broadcast of CNN 30 years ago, and Zach Messitte previews the 2010 FIFA World Cup, and what the much-anticipated event means for South Africa as an African nation hosts the tournament for the first time. 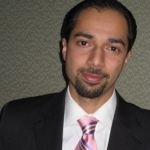 Later in the program, an interview with Trita Parsi recorded in 2009. He's the founder and head of the National Iranian American Council and the author of Treacherous Alliance: the Secret Dealings of Israel, Iran and the United States. He visited the University of Oklahoma in November to lecture on the aftermath of the Iranian election crisis.